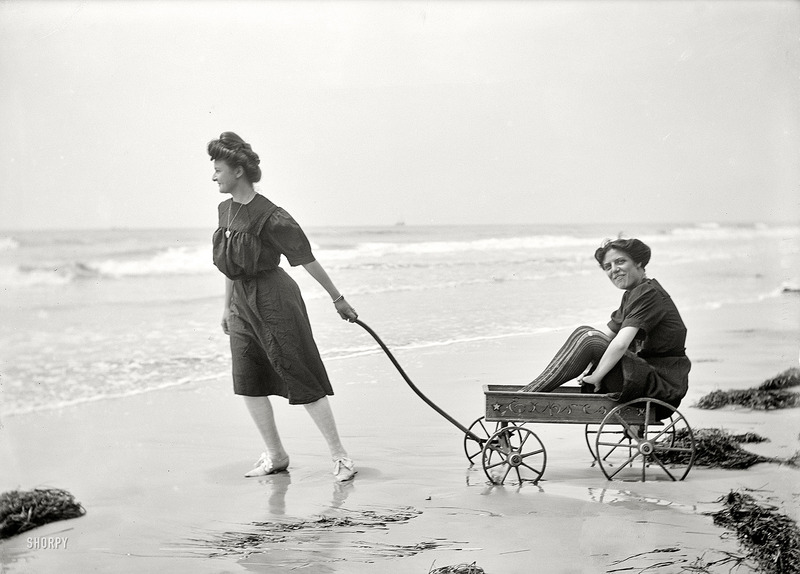 The Jersey Shore circa 1908. 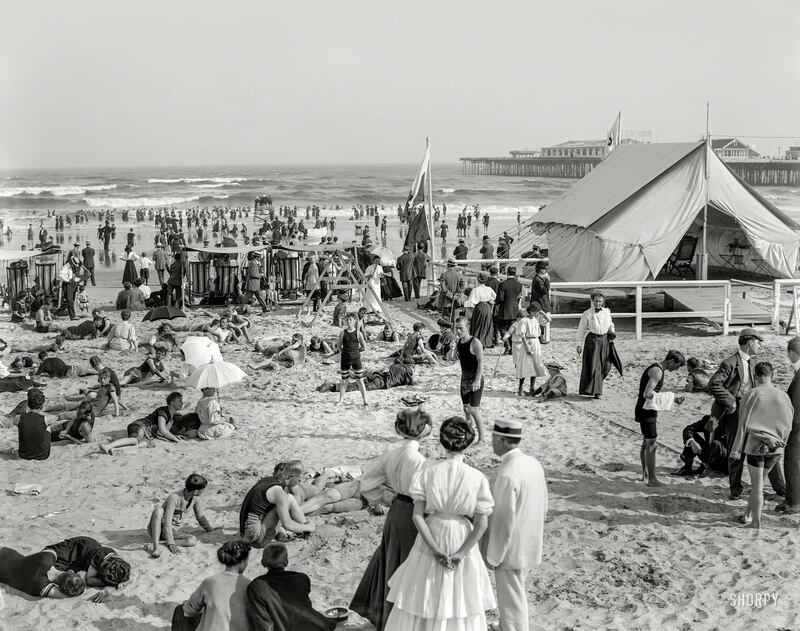 “The bathing hour, Atlantic City.” 8×10 inch dry plate glass negative, Detroit Publishing Company. 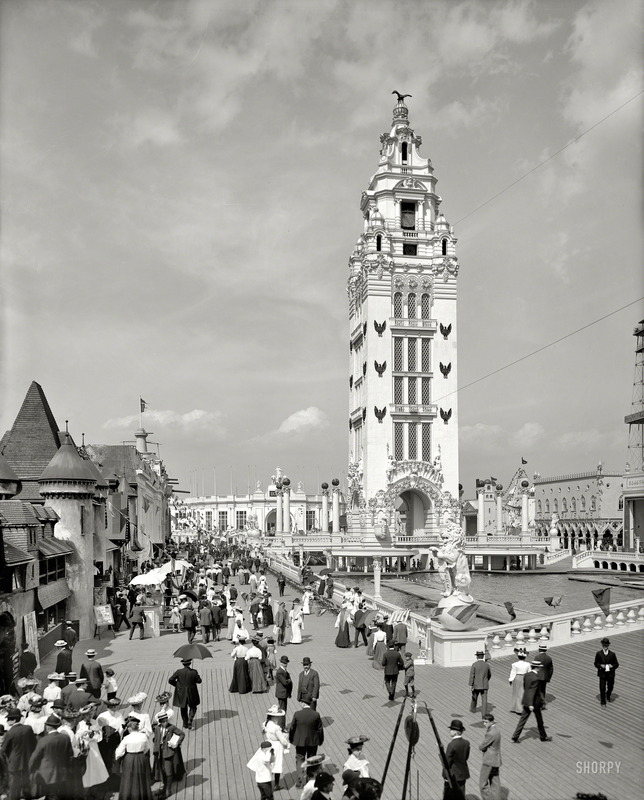 c. 1905. 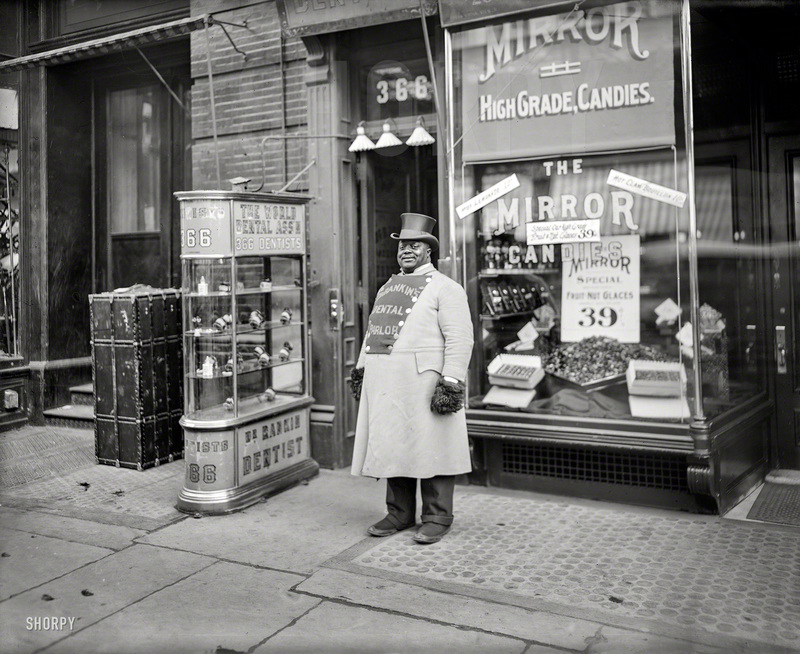 “A living sign on Fifth Avenue, New York City.” Brand ambassador for Dr. Rankin’s Dental Parlor, conveniently close to a candy store. Photographer Unknown. November 12, 1903. 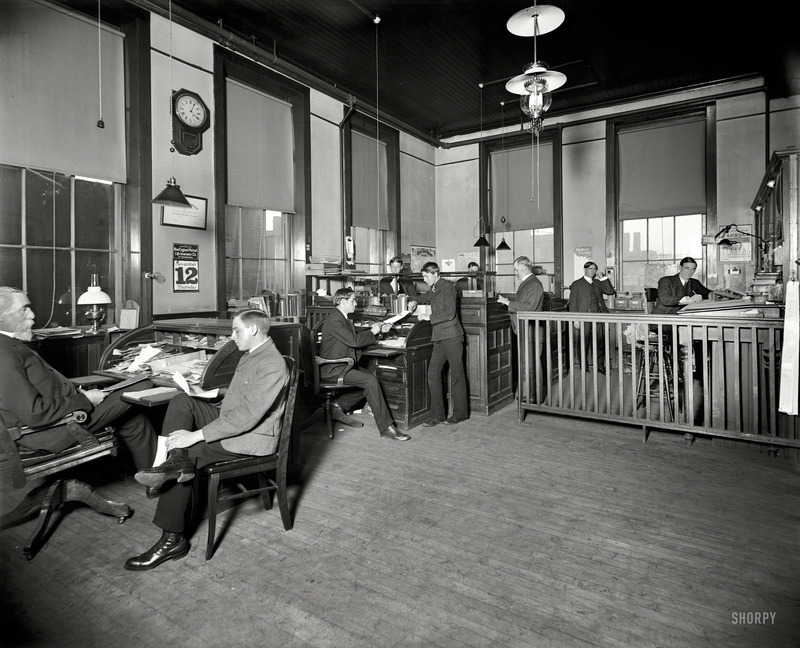 “General office, Leland & Faulconer Manufacturing Co., Detroit.” At left: Henry Leland, founder of both the Cadillac and Lincoln motor car brands. 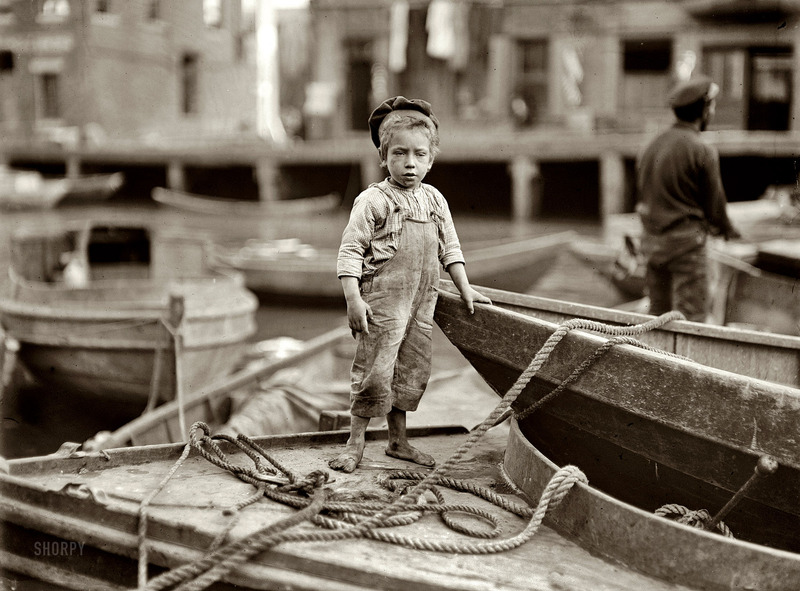 8×10 inch glass negative, Detroit Photographic Co..
c1901. 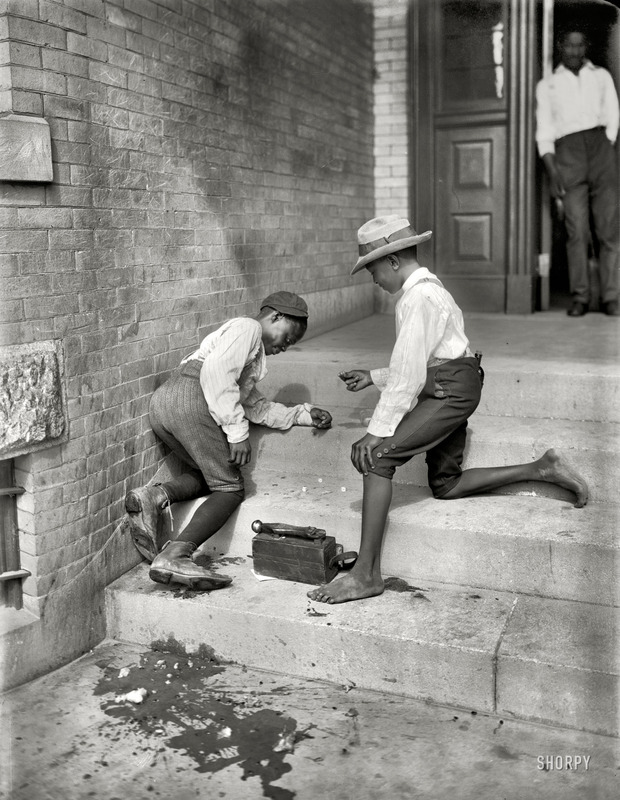 A pair of shoeshine boys play a quick game of dice on the steps in an unknown city at the dawn of the 20th century.